We started at midday as always, going to our food venue of choice. Whenever we pick a venue to eat at, we let our members decide. For once, my vote wasn’t the popular opinion, so we all went to Bella Italia and I have to say: Great job to everyone who voted for it. The prices were reasonable, the food was delicious and there was a lot of great geeky banter to be had. We ended up over-staying at the venue, however this wasn’t too bad: We got to the Old Market Tavern early enough, to where it didn’t affect the overall day that much. Still, if you’ve never eaten at one before, Bella Italia does some delicious food! 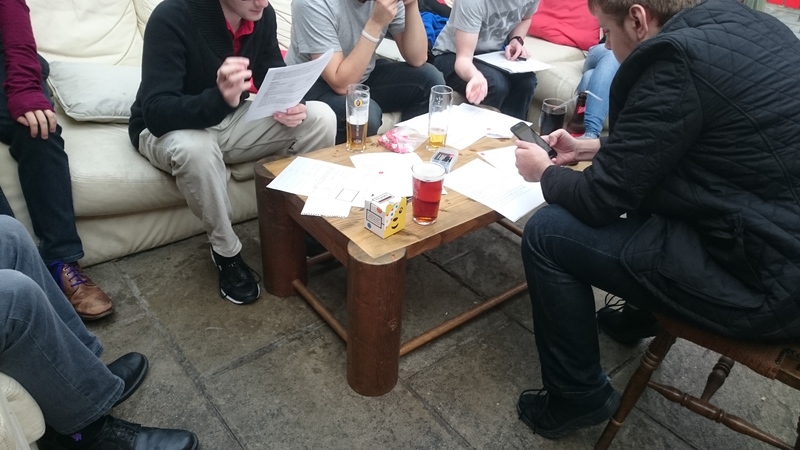 When we got to the Old Market Tavern, we got stuck straight in. Our theme for the day was Superheroes; so although we were a little light of people in costumes this month, we certainly had a lot of people ready to get involved with this months competition. For the competition, we were raising money for Children in Need, to which we raised an awesome £60. Thanks to everyone who took part and who bought a poster towards the funds going to this fantastic event. The competition this month was a “Make Your Own RPG Superhero”, to which I created a base set of rules for people to follow. I gave them all a sheet to fill out and away they went. They were able to start the competition as soon as they got the sheet and they finished at 9pm, where everyone was then able to speak out their characters to everyone. 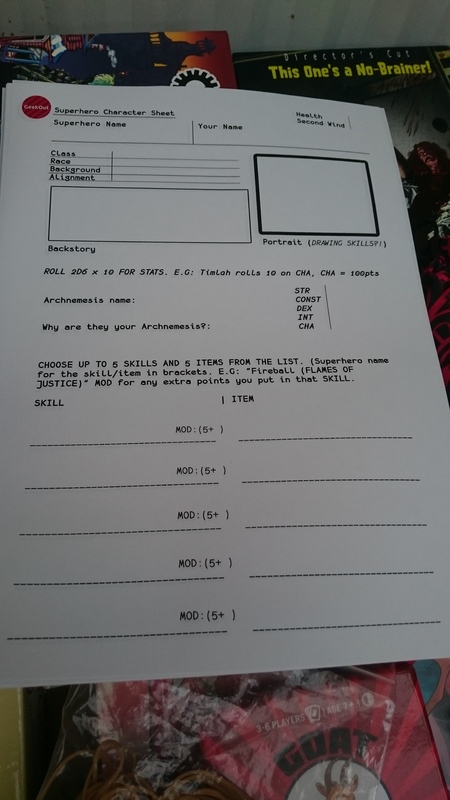 They had to prove they were the most heroic of them all – So if you’re keen to see what they had to do: Here’s the instructions… And here’s the character creation sheet. Really basic, really simple and ultimately it was really, really silly. We had a blast with this one! As always, the Old Market Tavern provided us a wonderful space to hang out and chill out at. We also spoke to Richard who runs the Tavern and asked him about events for next month. We’ll be doing our usual event, which will take place on Saturday 10th December, but we’ll also be doing a second event next month! I know, I bet you can barely contain your excitement. 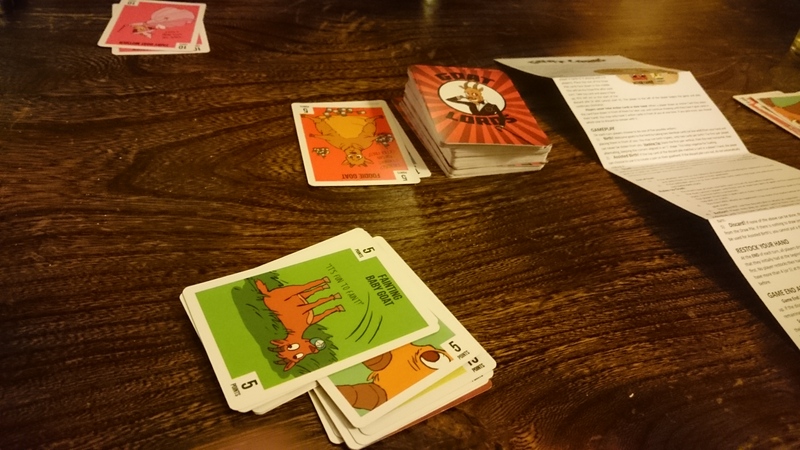 A really fun game we picked up from Kickstarter: Goat Lord! Had us giggling! Yep, we’ll be doing on on New Years Eve – A ticketed event which will start at 6pm and end whenever it ends. A celebration to the new year. Details of these two events will appear over the coming days on our Meetup and Facebook pages, so please do stick around and have a looksy when you can. That’s all for this month; As always, a huge thanks for reading and we hope that you join us for another month of GeekOut Meetups soon. In the mean time, leave us a comment below, or over on Facebook, Twitter or Reddit. This entry was posted on November 13, 2016 by Timlah. It was filed under Events, GeekOut Meetups and was tagged with Bristol, Children in Need, Children In Need Fundraising, Cool Things To Do In Bristol, Events in Bristol, Geek events in Bristol, GeekOut Bristol, GeekOut Bristol Meetup, Goat Lord, New Years Eve geek event bristol, Old Market Tavern, Raising Money for Charity.